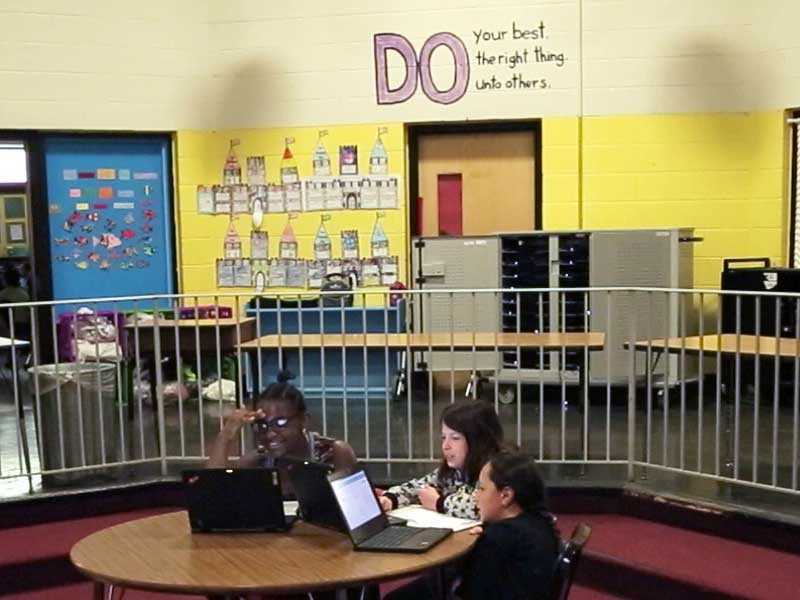 Pleasant View Elementary (PVES) primarily uses the individual rotation model for blended learning, where a “student has an individualized playlist and does not necessarily rotate to each available station or modality. An algorithm or teacher(s) sets individual student schedules” (Christensen Institute). Each student in Pleasant View’s 5th grade science class has a Personalized Learning Plan (PLP), which serve as individual instructional road maps. The PLP provides instant performance feedback for students and teachers, allowing them to modify the structure of their learning. Small group instruction and one-on-one’s are additional elements prevalent in this instructional model, though they are determined based on student need (and not a set schedule). PVES is part of the Blended Learning Universe, an effort from the Christensen Institute to connect blended learning practitioners across the world. See Pleasant View's profile here.